With springtime around the corner, we're ready to knit for spring babies! Our sweet projects for babies and toddlers make meaningful presents, not only for the parents, but also for the child as they grow older. Someday, it may be a family heirloom that's passed down to multiple generations. Get ready to cast-on one of these 8 special projects, ranging in size from newborn to toddler. 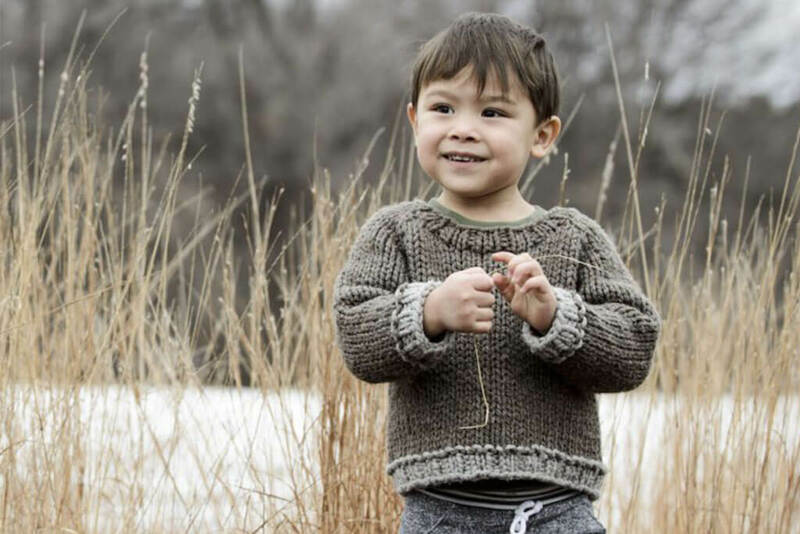 Before you get started, we wanted to share our favorite yarns to use when knitting for babies or toddlers. When picking yarn for little ones, it's best to choose fibers with the least irritation. 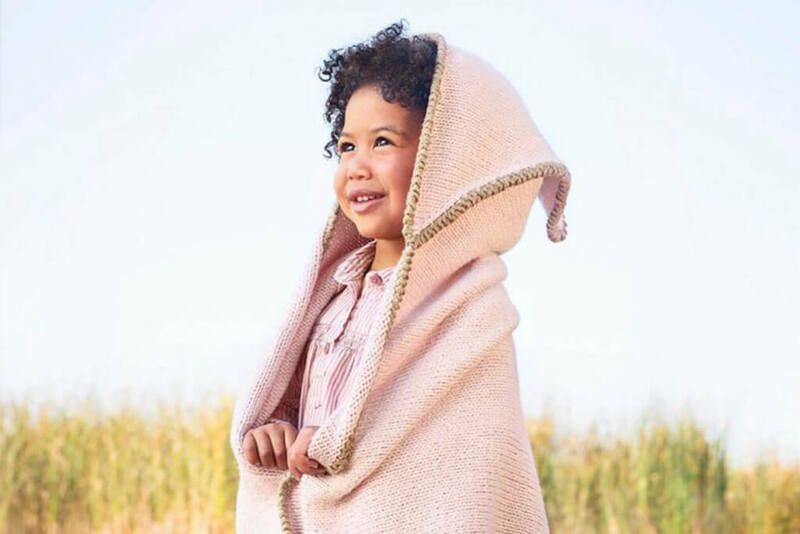 Cotton is one of the safest choices as it's naturally hypoallergenic. Both of our cotton lines (Worsted and Skinny) use 100% Certified Organic and use minimal-impact dyes. 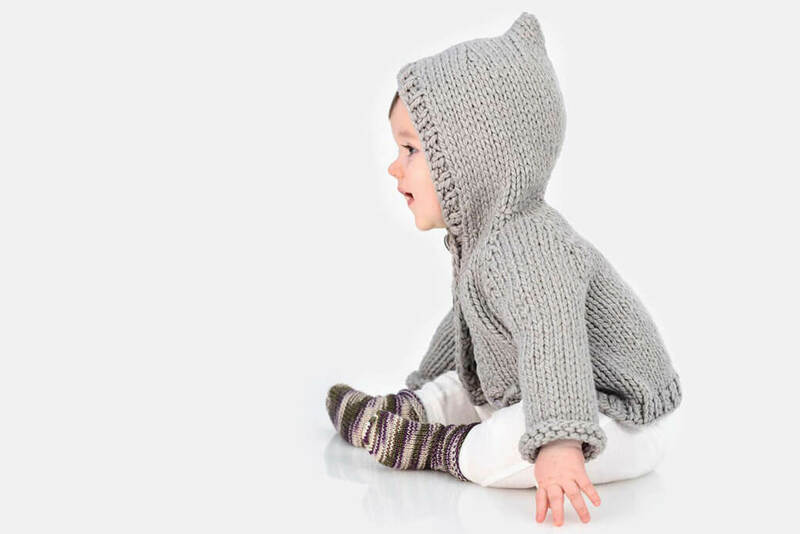 Our Spud & Chloë yarns all cater to the youngsters, composed of washable wools, silk, and Organic Cotton. 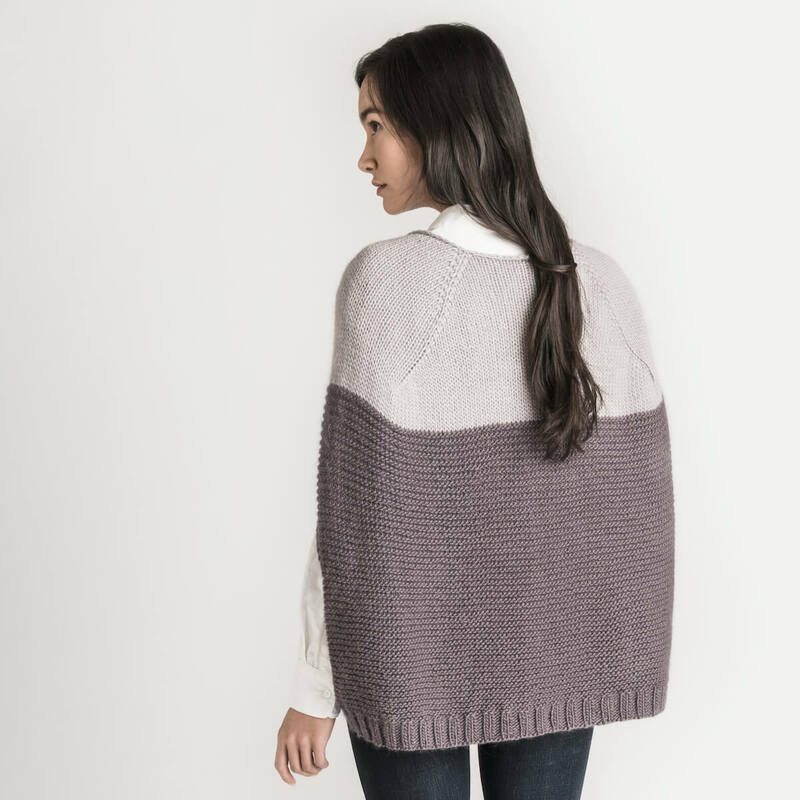 These lines are all machine-washable and include Outer, Fine, Stripey Fine, and Sweater. What better way to top off an adorable tot than with a tam? 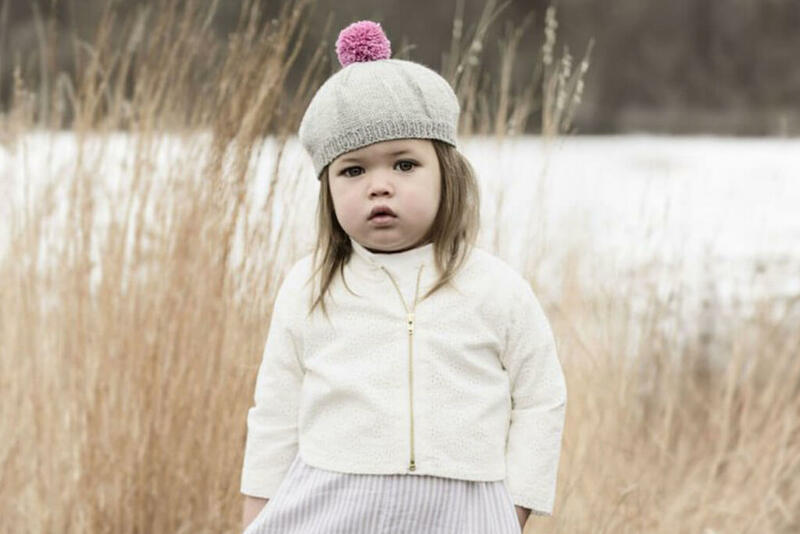 This sweet hat is perfect for a stylish little one who likes to have fun with their wardrobe. It's warm, soft, and practical for everyday use. Have fun playing with a pop of color by choosing a contrasting pom-pom color. TWEEDLE DEE TAM - FINE. This two-for-one pattern is an amazing present for new parents. We have multiple sizes to fit newborns to 1 year olds. 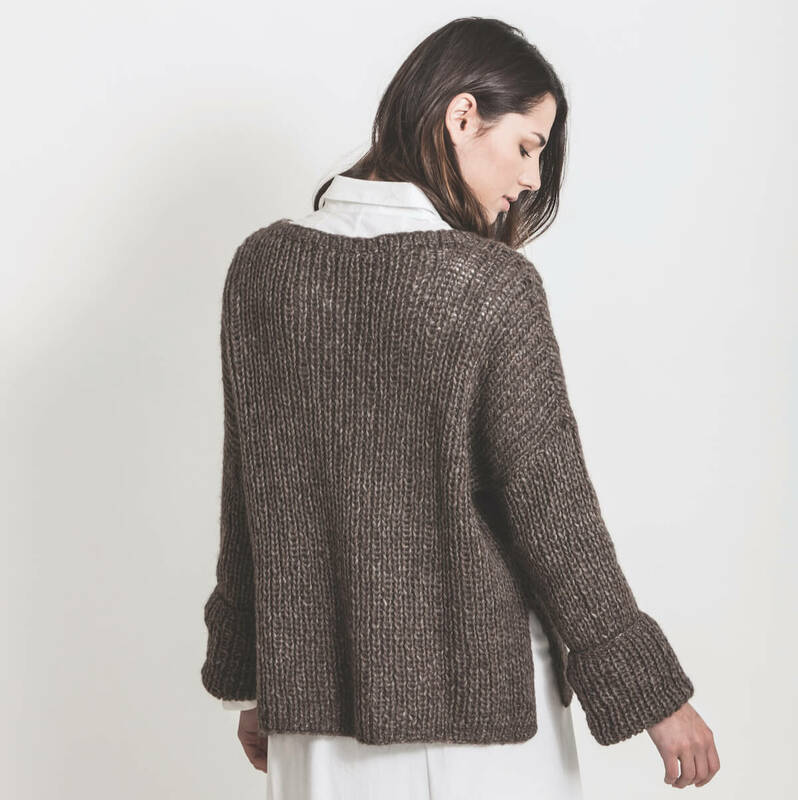 This cozy jacket will chase away the chill with our bulky weight yarn, Outer. These sweet little socks are made from Fine, a washable wool base with silk for added durability. They're sure to get plenty of wear. HONEYBEAR HOODIE - OUTER. SWEETIE SOCKS - STRIPEY FINE. Wrap your little one in handknit love with this cushy and warm blanket. It's perfect for drying off by the beach or for snuggling up to during nap time. We added a triangle to a corner to be used as a convenient pocket or hood. They may love it so much that this blanket becomes their favorite blankie. 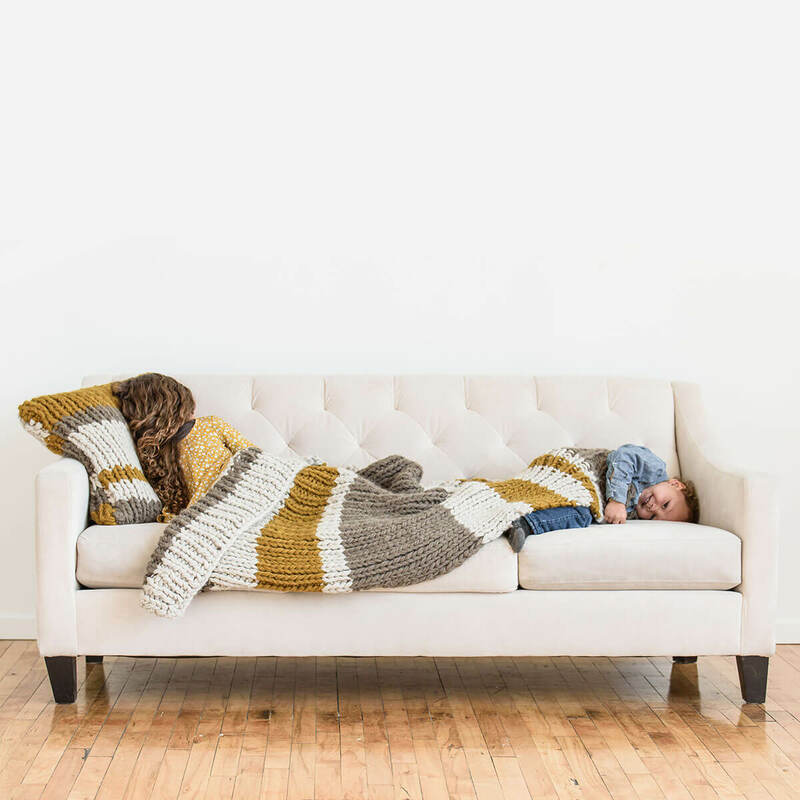 GEORGIE BLANKET - ORGANIC COTTON [WORSTED]. 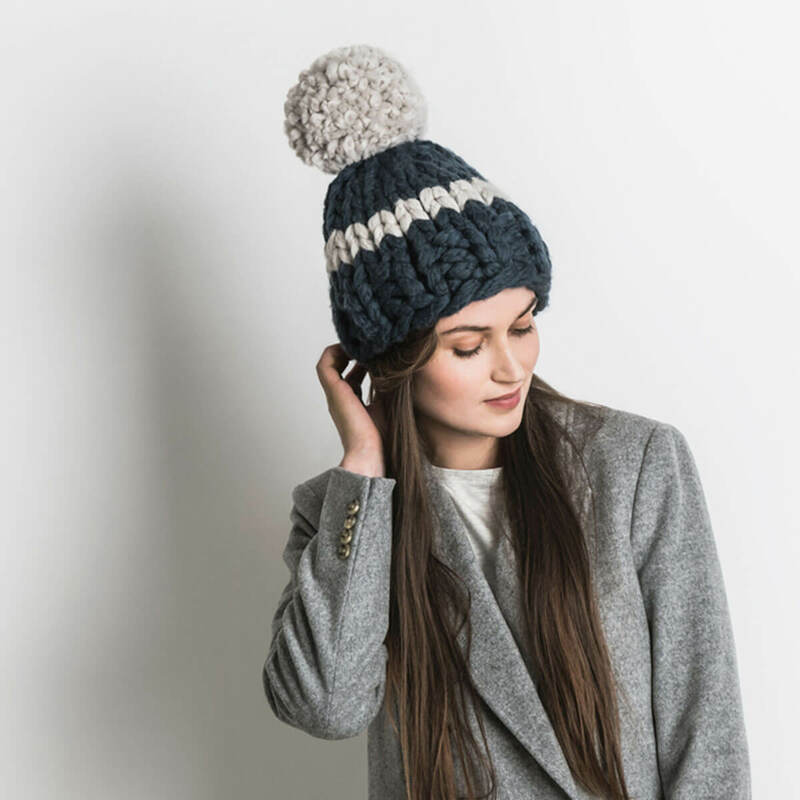 Another two-for-one pattern, our Boo Boo Bottoms and Tiny Topper hat has a sweet Scandinavian look. The bottoms can be knit as shorts or pants, and features a drawstring waist with plenty of room in the bum for a diaper. 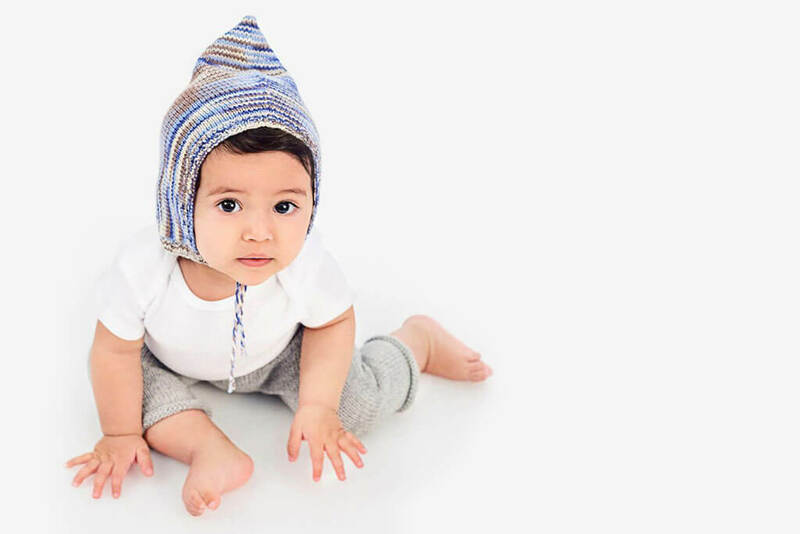 Up the cuteness ante with this pixie hat featuring a chin tie to keep it secure for more active babies. This pattern is designed with sizing for newborns to 1 year olds. BOO BOO BOTTOMS & TINY TOPPER - FINE & STRIPEY FINE. Perfect for a little princess, the Twinkle Toes Tutu makes for an adorable outfit during ballet or play. Knit from the bottom up with a ruffle tier, this construction is achieved with a three-needle join. An adjustable tie weaves through the pretty eyelet detail at the waist leaving some space to grow into. This pattern is sure to become her new want-to-wear skirt. TWINKLE TOES TUTU - FINE. Knit from the top down, the Jack & Jill Jumper has a nice wide neck opening that makes for easy on and off. 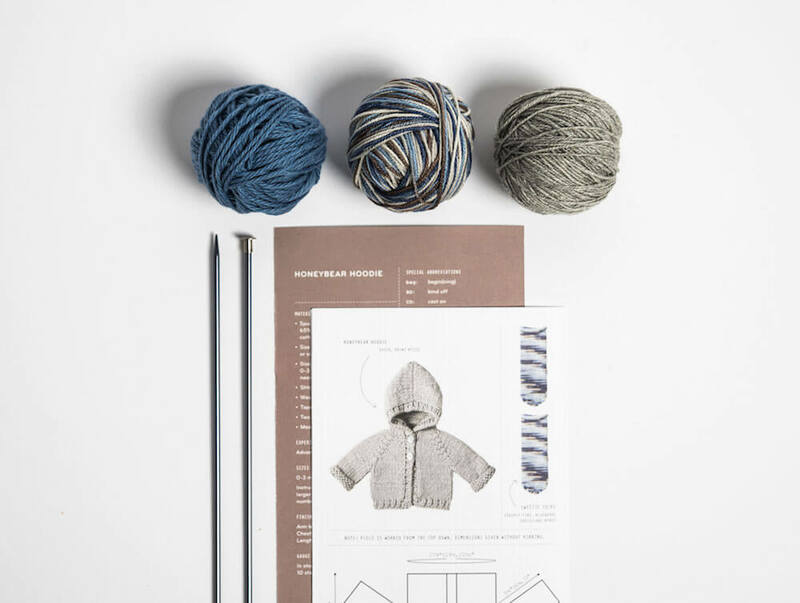 Quick to knit, this project is made with Outer - our bulky weight yarn. The unisex design with a classic look makes it the ideal hand-me-down. JACK & JILL JUMPER - OUTER.